The Sustainable Events Summit has forged a deal with Haymarket Media titles C&IT, Marketing, Brand Republic and Event, a list of official media partners that reaches agency and client audiences spanning live events, branding, marketing and advertising. 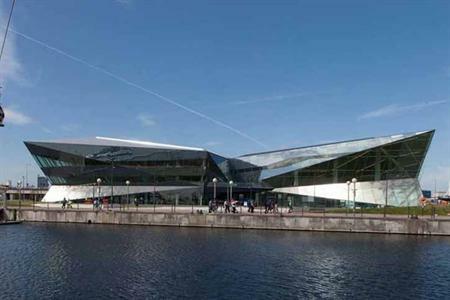 The event, which takes place on Thursday 24 January at Siemens' The Crystal in East London, has attracted a high-calibre line-up of speakers, including from BskyB, Siemens, BP International and Cisco. Nick de Bois, MP and chairman of the All Party Parliamentary Group for Events, is also speaking. Yasmin Arrigo, editor-in-chief of C&IT and Event, said: "The events industry, like other industries has embraced sustainability to ensure their businesses are more efficient and in line with changing developments in corporate responsibility. Sustainable practices now need to engulf the staging of conferences, meetings, incentives and all types of live event activity. This summit is the perfect vehicle to help this mindset happen." This latest incarnation of the summit is the result of a partnership between event agencies Smyle and Sustainable Events. Lisa Lionie, group commercial director of Brand Republic Group, which is home to industry bibles Marketing, Campaign and PR Week, added: "Sustainable initiatives across business and events are a vital part of today’s corporate social responsible landscape." More detail of the event is available on a dedicated website. Readers of C&IT, Marketing, Event and Brand Republic are eligible for a 20% discount on tickets by quoting the code SES001 when booking.